​If you were dropped too many times as a child, you might miss the fact that Maurice "Amazingx" Stückenschneider has lost his starting job. 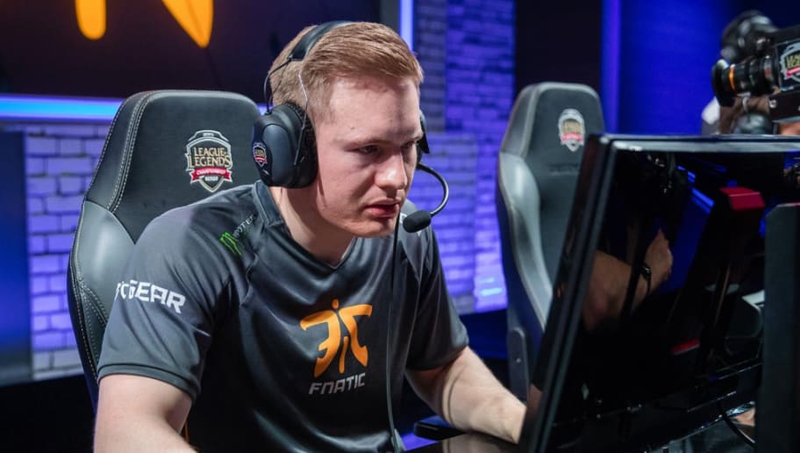 On Sunday, Fnatic announced that they've allowed Mads "Broxah" Brock-Pedersen to continue his tenure as the starting jungler. The timing makes sense since the team had an extended break with the IEM competition currently raging on. What doesn't make sense is Amazingx's drop off during this Split. He has always been a stellar jungler and at his worst, an average player. This might be the first time that he's been a detriment to his team. That doesn't mean his time on the starting roster is over, as he'll move to the challenger team. If Broxah starts to slip up and the change doesn't seem to work, adding Amazingx back on the team would be a quick fix. During the past two weeks, Fnatic has gone 2-1 with those wins being over ROCCAT and Origen. Not the most impressive of opponents, but maybe Fnatic sees something we don't.